As a founder, entrepreneur or freelancer you have endless ideas, opportunities and freedoms to become more successful and better known. And you have at least as many problems, hurdles or just effort to implement these ideas. The digital packageSELLWERK Prime supports you in these tasks. The questions are always the same: How do I get to customers as quickly as possible? How will I become or how will my company become better known? How do my customers find me – also and especially with regard to data protection? And is not that any easier? SELLWERK has come up with an answer to these questions: you just do everything in one place and SELLWERK takes care of the distribution and organization. Real-time web analyticswhich allows you to quickly check your own website and learn how well you are represented online. There are also valuable tips. My ratings on the netwhich allows you to see your online rating at a glance, get an email alert and keep track of, for example, bad reviews (especially important if you might want to react to them). Check competitors:With this check, SELLWERK looks at the competitors in the catchment area and gives tips for improving their own presence. There is also a ranking that gives important information about the market. In addition, there are of course many more modules that save time or provide important information for more success. On one thing we would like to go into more detail: The company data in the network. How does the customer find the company? When a customer has a problem, he searches the Internet for it. For example, after a carpenter, an advertising agency or the local locksmiths. He now receives various company directories, which are displayed to him and display the surrounding companies of this category. So if you have a business and are not represented in the portals – for example, Google My Business, Bing, Amazon Alexa (Voice Search is Coming! ), Or Foursquare – you have worse chances of attracting these customers. 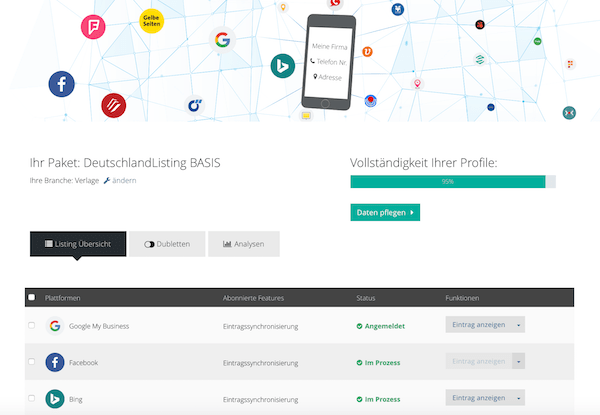 SELLWERK Prime offers companies the opportunity to upload their own company data, links, categories, services, opening hours, pictures and contact data once in 10 minutes and then takes over the entire recording of the directories. Anyone who wonders how big the time savings really is, can calculate the 10 minutes that it takes to write an entry, yes even to the 33 portals, the SELLWERK Prime automatically recorded. Makes 330 minutes or five and a half hours. How much sales can be made in these hours? Anyone who is already represented in a few directories can easily disable the service for these portals and still benefit from the other portals. 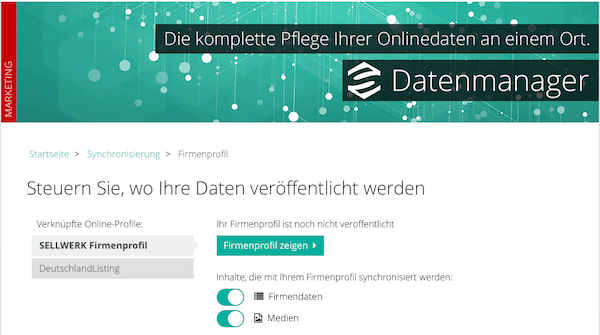 If you would like to try out SELLWERK Prime and the many modules yourself for your company, you can use the coupon code157FDF16save a whopping 50 percent on a SELLWERK Prime annual subscription.